Staging the "AlDub Eat Bulaga Kalyeserye" before a 55,000 crowd was indeed another great achievement for Eat Bulaga and its phenomenal loveteam, Alden Richards and Yaya Dub Maine Mendoza or the AlDub. It helped a lot that the whole episode was aired with no commercial break, as the viewers were treated with at least two "kilig" AlDub prod: a dance number and Alden singing "God Gave Me You" for Maine (he cried and hugged each other during the prod, and also left the audience in tears). And the attempt to break social media records was successful. The official hashtag #AlDubEBTamangPanahon generated 25.8 million tweets as of 4PM, plus another million a few minutes before 5PM. As of 7 PM, the number of tweets is now close to 30 million. 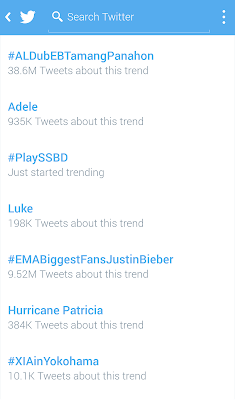 Obviously, it's a new record in the country, beating last month's 25.6M tweets for #AlDubEBForLove. And it did eventually surpass 30-million, and even beat FIFA World Cup 2014's 35.6 million world record tweets for a single hashtag. 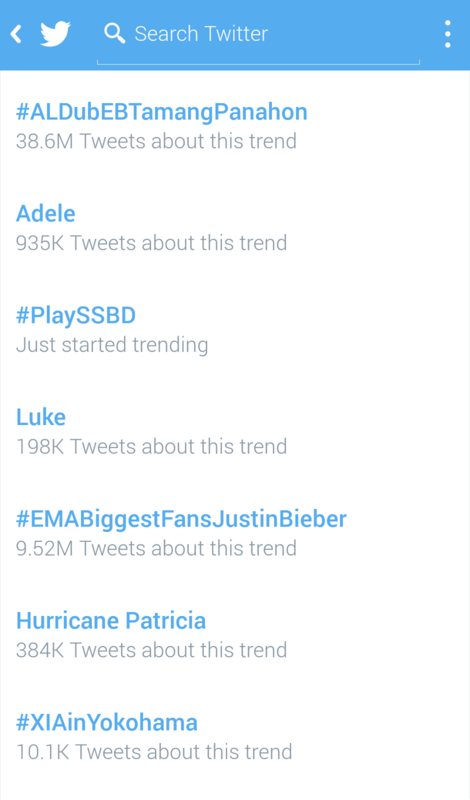 The AlDub hashtag got over 38 million at 11PM up to 39.5 million right before midnight!